You won't get distribution and fulfillment services like this from your ordinary contract packager or third-party fulfillment company. To provide the best end-to-end co-packing services, we've invested in a complete, 100,000 sq. 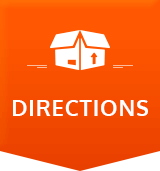 ft. order fulfillment, distribution, and warehousing centre from which we ship products to stores across Canada. Our facility allows us to offer complete supply chain solutions, ending with flexible, cost-controlled order fulfillment. To be honest, you need to see it to believe it. As your business grows, our flexible end-to-end co-packaging solutions adapt alongside you. Warehousing and distribution long-term leases are rigid but working with a complete co-packing vendor like us affords adaptability. If you want to fulfill your own orders, you'll need more staff. Staff costs money. Utilize our co-packing professionals to get the job done right, without worrying about bringing aboard the right crew. Because we're with you from co-packing through fulfillment, we can strategize the most streamlined and simple supply chain to get your product on store shelves at the lowest total cost. You're probably not the best at co-packing (and if you are, we're always looking for more talent). We have 35 years of experience in co-packaging, distributing, and fulfillment to share with retailers and brands large and small. Get all the benefits of our proven fulfillment services by leveraging our reputation and buying power to limit packaging and shipping costs. Because we can ship in volume, you'll enjoy lower overall rates.